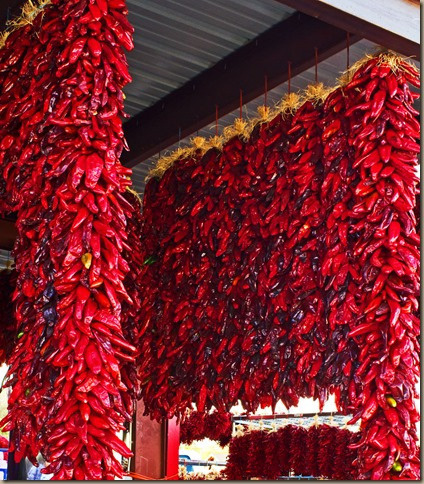 New Mexico is after all the home of the renowned Hatch chiles. I’m not enough of an expert to know if Hatch chilies are better than other chilies, but they have a bright vegetal flavor and an outsized reputation and can so many people be wrong? Well yes, popular opinion is often dead wrong, but anyway when something is an obsession, the obsessed usually learn to get it right. So if you’re into chilies go to New Mexico. To be honest, New Mexican cuisine is really similar to other Mexican border cuisines but we’re talking about food here where minor differences make all the difference. And there are some unique characteristics to New Mexican food. First, if you can’t decide between red or green chile on your plate ask for Christmas and you’ll get both. In California you would get strange looks. In New Mexico they understand tragic choices. Then there are the sopapillas, rolled dough cut into triangles and deep fried so they puff up like “little pillows”, essentially a fry bread. They are ubiquitous in New Mexico often drizzled with honey for dessert. But really the best way eat them is, of course, stuffed with Carne Adovada. The enchiladas in New Mexico are typically stacked instead of rolled, and smothered in chile sauce and cheese so all the ingredients meld into a glorious, hot mess. And you can get them with blue corn tortillas which, in addition to being pretty, have a sweeter taste. 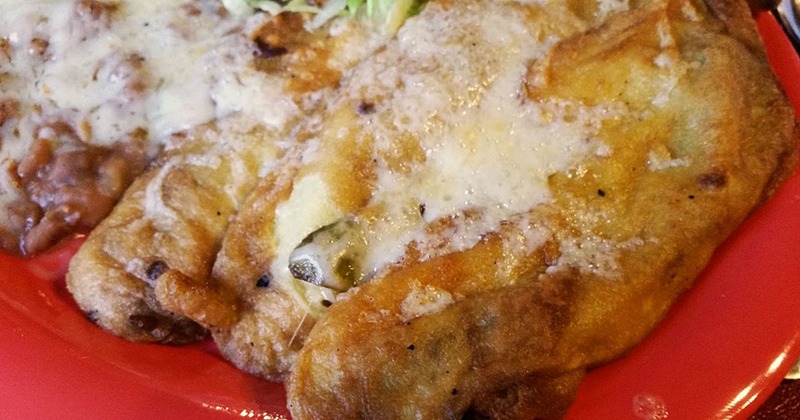 As you might imagine in a cuisine based on chilies, their Chile Rellenos are a specialty. They are often served without sauce so the vegetal crunch of the chile becomes a prominent part of the dish. And Green Chile Stew, distinct from Chile Verde in that it typically does not include tomatillos but often has potatoes in it, will replace chicken soup as an all purpose remedy for colds, bad weather, and hangovers. But the best thing about New Mexico is that it’s not Texas. In Tex-Mex cuisine, everything is doused with sour cream, infused with cumin, with sauces despoiled by tomatoes and meat sludge, and queso that tastes like Velveeta. Speaking of Hatch and meat, chilies are not the only thing they do well. That would be the chile-cheese burger at Sparky’s, a barbecue joint serving the best burger I’ve had in some time. 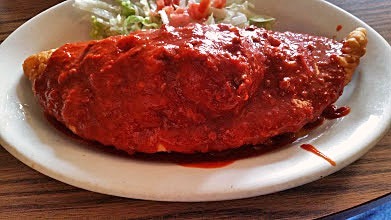 For Sopapillas stuffed with Carne Adovada try Mary and Titos in Albuquerque or Nellie’s in Las Cruces. 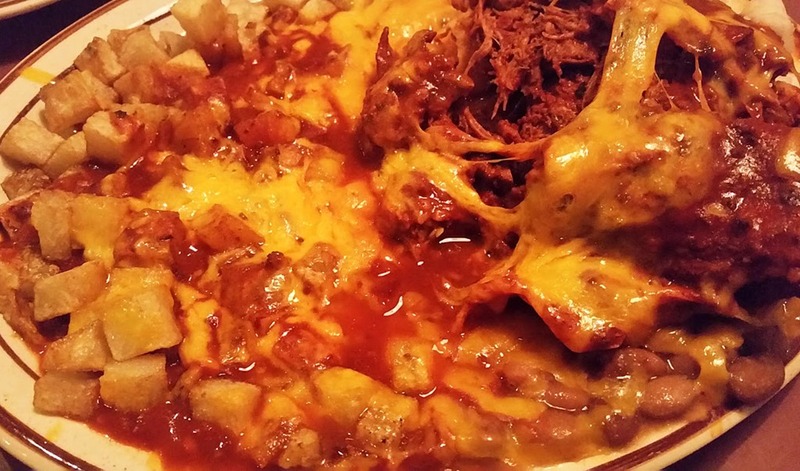 For Chile Rellenos, it’s Chopes, a mom-and-pop restaurant about 20 miles south of Las Cruces. But start the meal with their outstanding Chile con Queso, basically a green chile stew without the meat and with lots of melted cheese. They also feature the best salsa around. And for Green Chile Stew I enjoyed the version at Albuquerque’s Pueblo Harvest Café at the Indian Pueblo Cultural Center. Should you want to take a break from traditional, low budget, New Mexican cuisine and try something a bit more upscale, Albuquerque’s Farm and Table does a nice job with local ingredients. 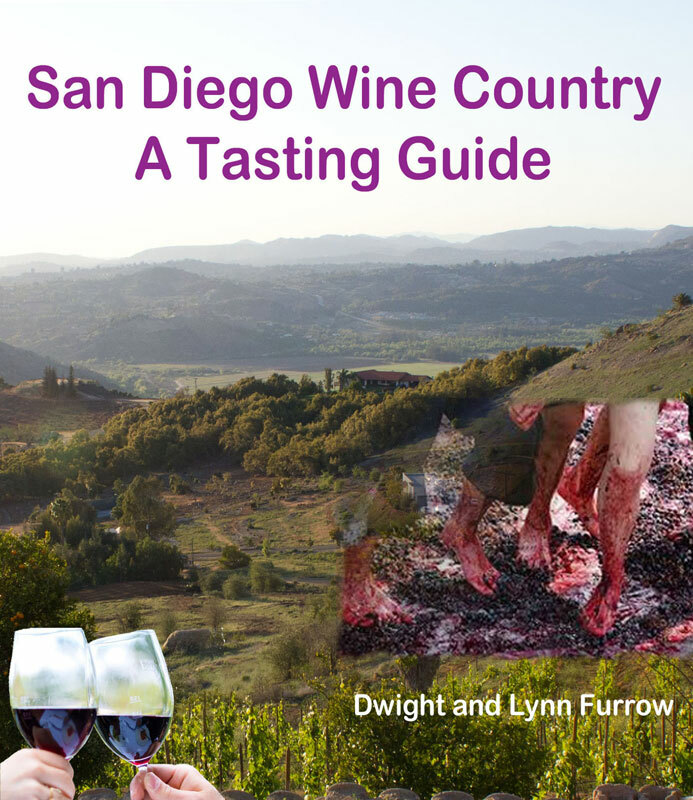 New Mexico’s landscapes are magical and their wine is improving but the main attraction is red chile sauce. Cross posted on Edible Arts on 2/1/2017.